The following was submitted by Emma, a member of the Pts4Chg community. Thanks, Emma. This is Jim. He spent 8 long weeks as an inpatient at the Red Deer Regional Hospital. Thankfully, the unit he was on allowed pet visitors. For Jim, this was patient centered care! Seeing his dog, Ming Ming, brought him such joy and the drive to do what he could to get home to her. 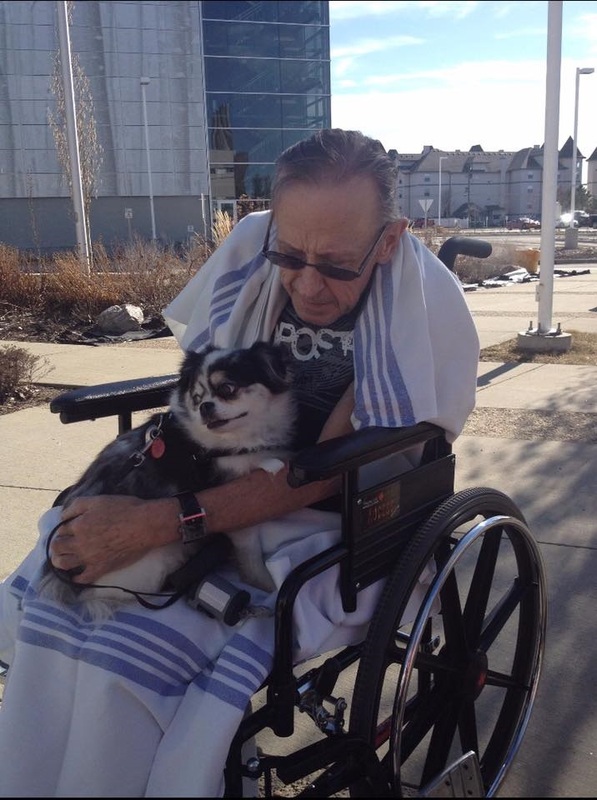 Thank you Red Deer Regional Hospital for realizing pets are family too! This entry was posted in Family Presence, Health Care Team, Healthcare and tagged caring, family presence, patient experience, patient voice. Bookmark the permalink.